Koto Tree, also Known as Impa, Ako or Eyong, grow in West Africa from Lyberia through to the Ivory Coast, Ghana, Nigeria and Cameroon. Koto has a yellowish-white to cream in color wood, and becomes more yellowish- grey when steamed. It is very good for printing and staining. The endgrain is diffuse-porous and Straight to slightly interlocked and texture moderately coarse. It is an easy machining wood, only with the preventive measure of drying log carefully and slowly. Sliced veneer is used for door skins and inner surface veneer. Quartersawn surfaces can exhibit ray fleck. 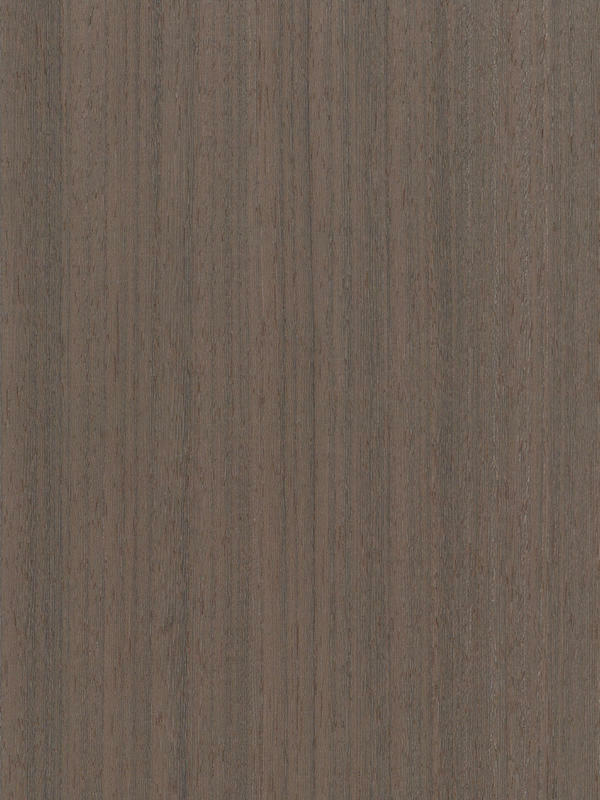 Koto quarter cut get a shining striped veneer with a simple outer aspect by cutting log in quarters, whereas a tangential flat cut procures a clearly defined pattern because of its interlocked grain. Koto produces a clear veneer that allows dyed finishing successfully, reason why you will have an optimal and intriguing result. In this case, we have a dyed veneer, that cause a change in colour towards grey color throughout the whole veneer thickness. The stripped veneer changes are more visible as a result of our dying process, that increase this optic effect, that is why it is often used by designers or architect in kitchen or offices for example, getting an elegant aspect, mixed with a quite warm felling that only wood can provide. Avellana (Hazelnut) tone provides an elegant and organized spacial sensation with an aged and original point at once.